A new rumour doing the rounds suggests that the Gear A, Samsung's first round smartwatch that previously went by the name Orbis, won't launch until September. According to Sammobile, which has a good track record with anything Samsung related, the Gear A will be shown off at IFA 2015 alongside the Galaxy Note 5. 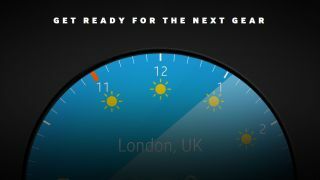 While the wait will disappoint many who are eagerly anticipating Samsung's new wearable – especially as the company has made some big promises about its functionality – Samsung has apparently decided to delay the reveal of the Gear A to allow the hype surrounding the Apple Watch to die down. Samsung has identified Apple's wearable as the smartwatch to beat, so it is claimed that it's taking its time to design and build a smartwatch that can truly compete. Rumoured features include a rotating bezel ring to cycle through apps, a crown-shaped power button and wireless charging functionality. It's also claimed that the Gear A will run a custom operating system based on Tizen, rather than Android Wear. How do some of Samsung's other smartwatches stack up?